This entry was posted in Music on August 12, 2018 by katie eberhart. This entry was posted in Announcements, Books, Unbound: Alaska Poems on October 18, 2016 by katie eberhart. NATURE JOURNALING workshop Saturday July 25, 2015 at the Metolius Preserve (about 12 miles west of Sisters, Oregon ), sponsored by the Deschutes Land Trust. The terrain is flat (easy walking) and we’ll walk about a mile in the shade beside Lake Creek (the emphasis is “writing” not “hiking”). Sign up for this free workshop through the Deschutes Land Trust web site. 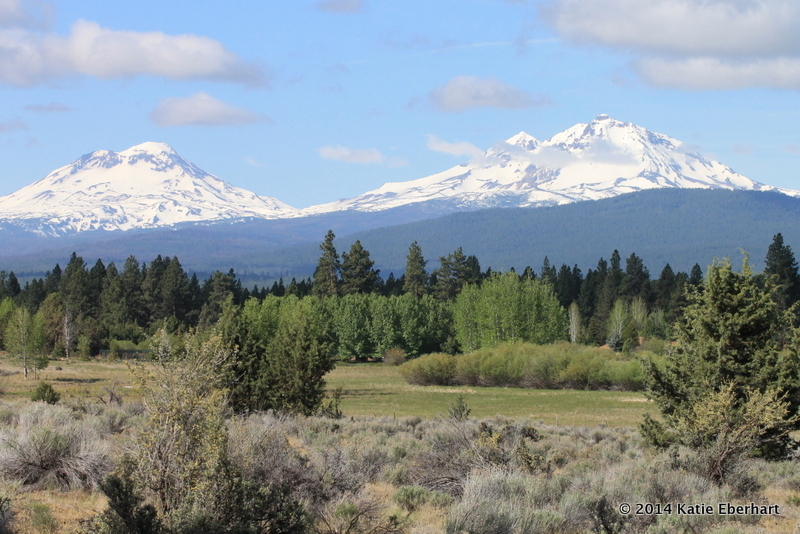 This entry was posted in Announcements, Workshops and tagged Deschutes Land Trust, Metolius Preserve, nature journaling, writing workshop on July 21, 2015 by katie eberhart. The best place to write about nature is outdoors, in nature. Please join writer, Katie Eberhart, and birder, Carol Wall, for a morning of walking, learning about birds and bird habitat, and writing at Indian Ford Meadow Preserve. We should see hummingbirds and pygmy nuthatches, and other summer-resident birds, learn about the birds’ habitat needs—from forest to stream, and discuss strategies for translating a sense of nature onto the page. The walking at Indian Ford Meadow is easy and the distance will be less than a mile. Workshop limited to ten participants. 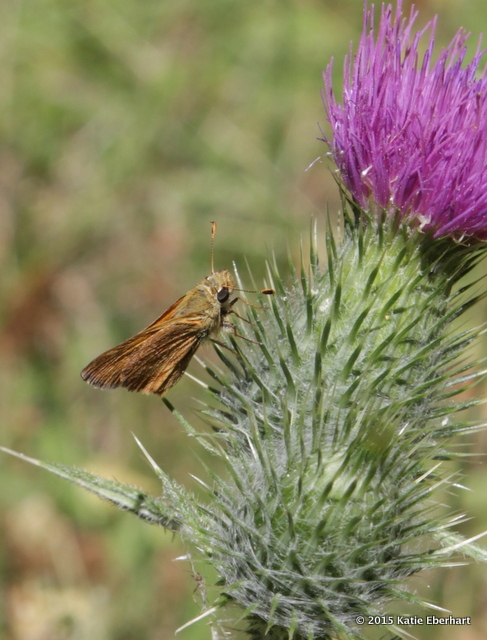 This entry was posted in Announcements, Workshops and tagged Deschutes Land Trust, indian ford meadow preserve, nature journaling, writing workshop on May 31, 2015 by katie eberhart. The best place to write about nature is outdoors, in nature. 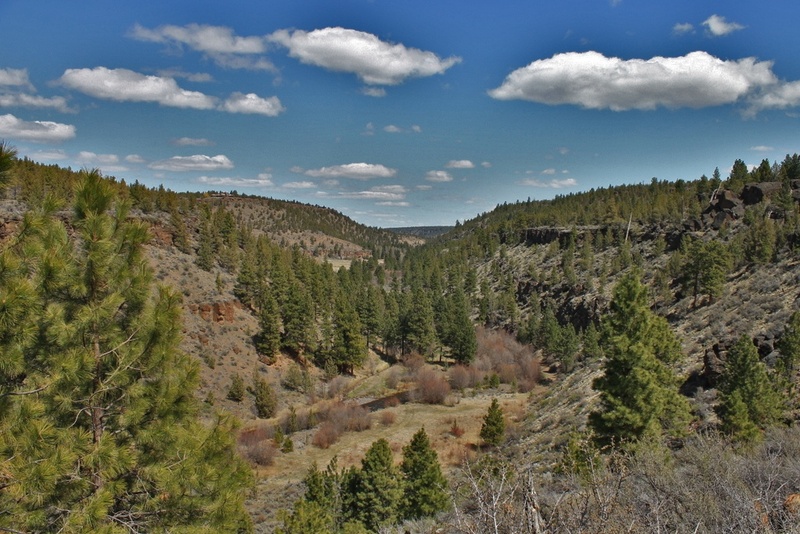 If you’re in central Oregon, please join me and botanist, David Miller, for three hours walking and writing at Whychus Canyon Preserve. We’ll discuss wildflowers and plants, and writing strategies that help capture the experience of all the senses, as well as other aspects of our relationship with nature including memories. 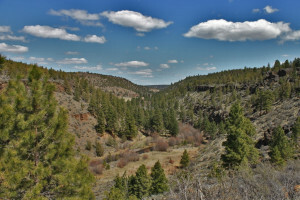 With registration, you’ll get an email reminder and directions to Whychus Canyon Preserve. Last year, I did two Field Notes workshops for the Deschutes Land Trust. If you attended either of those workshops, please consider signing up for one (or more) of my Nature Journaling workshops this summer. This entry was posted in Events, Workshops and tagged field notes, journaling, nature, whychus canyon on May 14, 2015 by katie eberhart. My poem, How Tiny the Grass Seeds, is included in the Summer 2014 — Sticks & Stones — issue of Elohi Gadugi Journal. with upswept prow and stern. as if it was a moon rock, that might be taken . . .
Read the whole poem in the Elohi Gadugi Journal. This entry was posted in Announcements, Poetry on August 30, 2014 by katie eberhart. Reminder: my “Field Notes” Writing Workshop at the Deschutes Land Trust’s Indian Ford Meadow Preserve is tomorrow, Saturday August 23rd, 9:00-11:00. There is no cost (same as all the Land Trust’s guided hikes and outings) but you need to sign-up through the Deschutes Land Trust website—http://www.deschuteslandtrust.org/events/hikes/field-notes-indian-ford-meadow-preserve. The limit is ten and, as of Friday morning, there were a few slots left. My short essay Writing Personal Field Notes at Land Trust Preserves is up on the Deschutes Land Trust website. This entry was posted in Announcements, Workshops on August 22, 2014 by katie eberhart. What to Bring: Paper/notebook, pens/pencils, and, if you wish, a lightweight chair or pad. Dress for the weather. Rating: Easy, ~1 mile walk. Join the Deschutes Land Trust and Katie Eberhart to explore Indian Ford Meadow Preserve with the pen of a writer. Walking the land can be a great way to heighten your senses and feed your writing. Walk with us to see and hear more acutely, feel the fresh air, and smell new aromas. Then, through field notes, capture the specifics of a place that may later help trigger or contribute to poems, essays, or fiction. Writing exercises, discussion and optional sharing are all part of the process. Registration opens 1 month prior to the event. This entry was posted in Workshops on August 9, 2014 by katie eberhart. Wednesday August 6 at 9:00 am: Tune in to KPOV (kpov.org) in Bend, Oregon for The Point. I’ll be reading a couple poems from Unbound: Alaska Poems and visiting with show host, Valarie Gervais. Sunday August 10 at 2:00 pm: Deschutes Library, Second Sunday Know Local Authors. Thirteen local authors were selected for this event. I’ll be reading poems from Unbound: Alaska Poems. Register now for my Field Notes Writing Workshops at the Deschutes Land Trust’s Metolius Preserve (Saturday, August 9) and at Indian Ford Meadow Preserve (Saturday, August 23). These workshops are free but registration is required, either through the Land Trust’s web site or by calling the Deschutes Land Trust in Bend, Oregon at (541) 330-0017. This entry was posted in Announcements, Events on July 23, 2014 by katie eberhart.